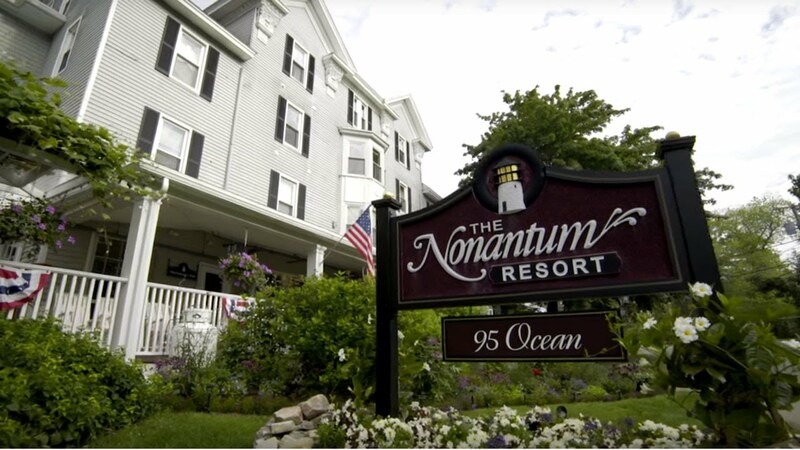 The Nonantum is a family resort in Kennebunkport Maine that has provided a beautiful setting for celebrating life’s special events - and quiet vacation retreats - for more than a century. Our family owned resort in southern Maine offers casually elegant accommodations. The Carriage House Inn takes you back to the Victorian era and gives that quintessential coastal Maine Inn feel, while the Portside Lodge is more contemporary and decorated to celebrate the nautical culture of Kennebunkport lodging. The Nonantum has fun for all ages with award-winning dining, on-site family activities, boat and trolley tours. All of this in an ideal location. Take a short walk down scenic Ocean Avenue to the shops, restaurants and art galleries of Dock Square in one direction and in the other direction are the beaches. If you would rather not walk or drive, the resort offers a complimentary local shuttle to avoid any parking issues in town. Why Stay at the Nonantum Resort? Watch this short video for a glimpse of a vacation at the Nonantum. The Nonantum treats their employees like family, and their guests like a part of the family. We’re ready to greet you with a heartfelt welcome or welcome back to our family resort in Maine. The Nonantum has been our favorite vacation destination for over twenty years, and we have only met staffers who are polite, friendly, courteous and helpful. Looking forward to our next visit! Thank you for providing the perfect venue for our event – it could not have been better! The food was delicious, the service absolutely terrific, and the three rooms used were ideal. Special thanks to Ariel who provided the most professional and courteous service throughout the planning and execution of our fundraiser. She was invaluable in helping with every detail, and I hope to have her help again next year.